SC36 Xpress Scanners Include::SmartWorks TOUCH Software, Twain Driver,USB 3 cable, Power Cord, and a 1-year on-site warranty. (Support Stand and Catch Basket at additional cost). Manufactured by the leader in color scanning, this 36" wide monochrome scanner is perfect for volume scanning of engineering drawings, blueprints, architectural renderings and many other technical documents. At the same time providing excellent results for limited color graphics and posters. It is not for "fine art" scanning, but we have scanners for that need too. The SC scanner is our most popular scanner for technical and art document applications. 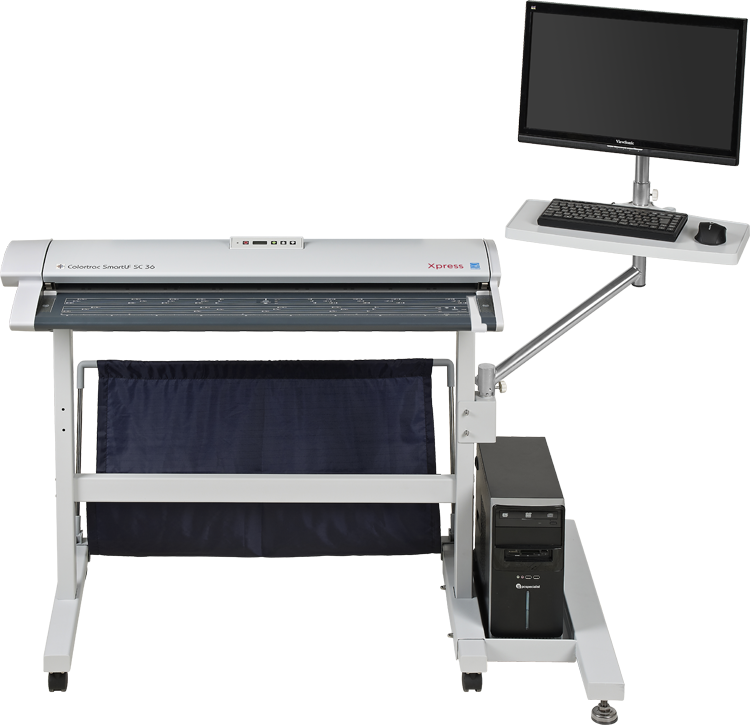 It will easily handle standard size documents (36" wide X any length). This makes large documents easy to email, and store for fast retrieval and/or storage off-site. The SC36 scanner is currently used in numerous offices, such as: medium to large contractors, landscapers, sub contractors, construction sites, contractor supply, architects, engineers, lumber yards, manufactured truss systems & home builders, K-12 schools and universities. 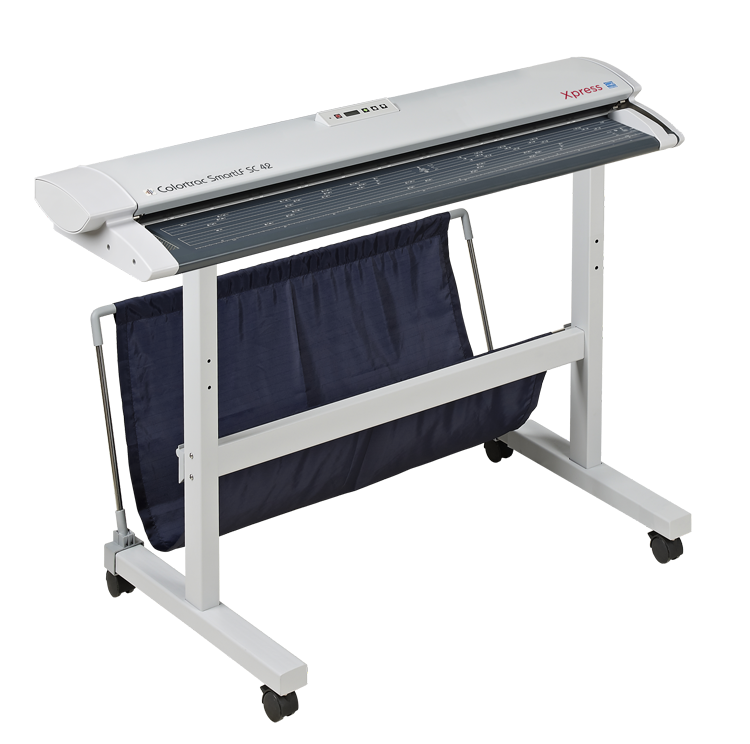 The SC36 scanner fits easily into any office environment, as it is quiet, weighs just 53 lbs and it is 45"w x 6"h x 15" d. Can be placed on a table or optional stand.